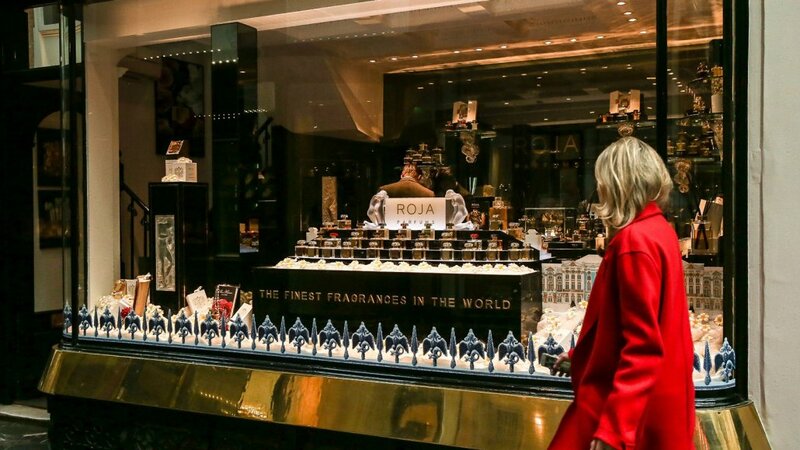 Roja Dove is one of the world’s most highly regarded parfumiers and his only UK standalone boutique in Burlington Arcade is a sensory adventure into his genius. 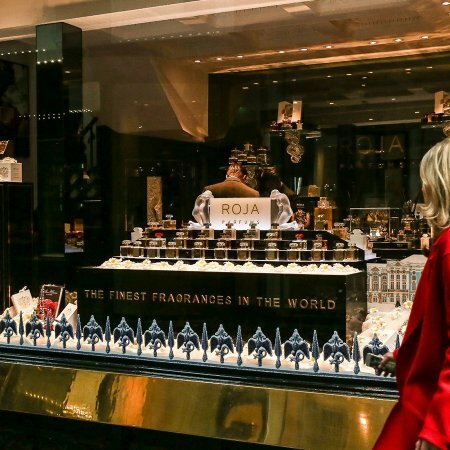 Known for uncompromising quality and sourcing the very best ingredients from around the world, Roja Perfume was the fragrance brand the world had been waiting for when it finally launched in 2011 and is now stocked in 44 countries. The Burlington Arcade boutique sells scents for men and women, aouds, and candles and diffusers for your home. Having had a love and interest in perfume from a young age, Dove dropped out of studying medicine at Cambridge in order to pursue his passion with Guerlain. He worked with the brand for two decades in their communications department and stood out in his field for his interest and knowledge of both the industry and the science behind the products. He is able to identify 800 different scents blindfolded and has been honoured by his home country as Creative Ambassador for the GREAT Britain Campaign, creating an exclusive perfume for it which captures the scent of the nation. The simple, yet elegant, packaging is recognised around the world by its square bottle, bejewelled cap, and crisp, sans serif logo. With an attitude that “only the best will do”, you’ll find unusual ingredients such as Rose de Mai and Ambergris, a rarity worth seven times the price of gold. Ask the fragrance specialists, personally trained by Dove, about ‘The Exceptional Collections’ for the most luxurious and exclusive perfumes in their repertoire. The parfumier has settled into the area well since they arrived in 2015, adorning their exotically decorated space with bespoke commissions made by their neighbours Lalique, and creating a unique scent that fills the arcade itself to welcome shoppers and entice passers-by in. The Burlington Arcade scent is named ‘51’ and is available to buy from the store, the perfect memento to remember your trip by.